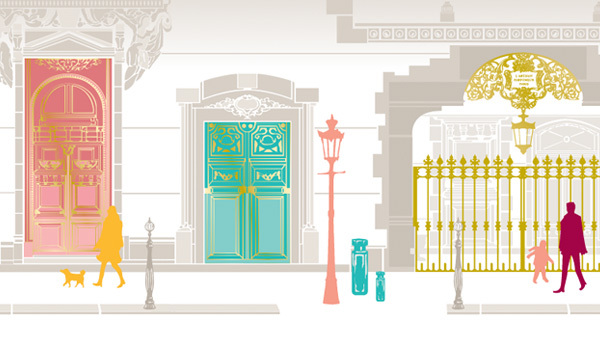 For our London (or UK) residing readers, I got an interesting promo in the mail which might be just the thing for those of you who are doing your Christmas shopping now and gearing it towards scented products. 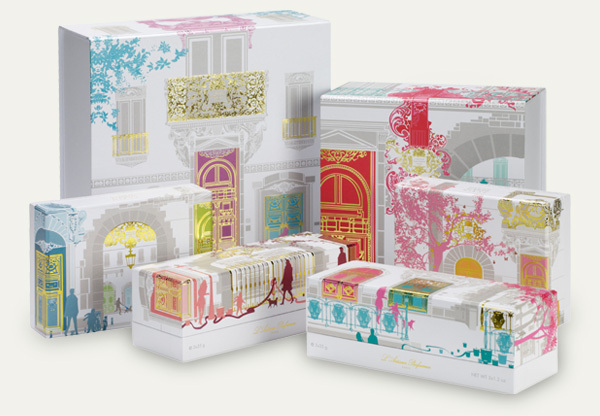 The Paris Doorways packaging design is sublimely cute! with drinks, nibbles and a magical seasonal atmosphere! when you purchase two Christmas gift sets. If Genji had to pick a fragrance available at most retailers, what would it be? And if Cleopatra had to do the same, which would she choose? assuming you ask about Hikaru Genji (and not the videogame of which I know nil), I'd say...hmmm...readily available...*more hmmm*...Dior Homme? Polished, melancholy, not taken too seriously by the "elders"/serious, but lovely all the same, with an idealistic streak and quite appealing to women. Perhaps rather modern though for such an old tale. Cleopatra would wear DK Chaos. ;-) It's been re-issued I hear. yeah, isn't it? This is mainly why I wanted to post about it, to showcase the beauty of the design. Ooops, I'm so sorry! You could have taken advantage of it. Anyway, there will be more opportunities another time, I guess.